Imperia, July 2007. 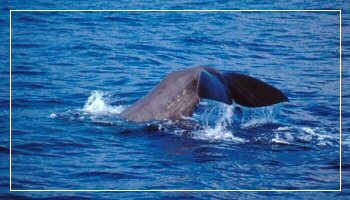 For all of those who love the sea and its big inhabitants, here’s a chance to experience a great adventure following cetaceans on board of vassels, where you’ll be able to have a glimpse of these incredible creatures, right in the middle of the sea. All of this will be possible starting off from the port of Imperia Porto Maurizio, which is situated next to the Capitaneria di Porto, in “Borgo Marina”. The vassels reserved for the excursions are called “Corsaro” and “Stenella” and they will allow a much better viewing and monitoring of the area . Sailing at 20 knots, the vassels also have a refreshment area on board. The short cruise lasts 5 hours and a marine biologist will always be on board to comment on possible sights. The chosen area is part of the “Santuario dei cetacei” ( the cetaceans sanctuary ), and started being protected for the welfare of sea mammals in 1993. It includes the Liguria sea and the Corsica sea.